Aaron Sorkin, the winner of a coveted Oscar for screenplay in the movie, The Social Network, is now set to write the screenplay for the Steve Jobs Movie, which will concentrate on the early days of Steve Jobs and his beloved Apple Inc.Walter Isaacson’s biography of Steve Jobs, titled Steve Jobs, has been adopted for the Movie by Sony Pictures. There is no writer working in Hollywood today who is more capable of capturing such an extraordinary life for the screen than Aaron Sorkin; in his hands, we’re confident that the film will be everything that Jobs himself was: captivating, entertaining, and polarizing. Although Aaron Sorkin has been making the news for the Steve Jobs movie by Sony, it is not the only movie that is being filmed about the Apple CEO.Another film titled as - Jobs: Get Inspired, featuring Ashton Kutcher as Steve Jobs started filming earlier this week. 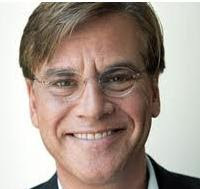 Aaron Sorkin seems to like the modern day rulers of the world, such as Facebook and Apple, cause he seems to love to work in Movies dedicated to such big influences on the world. 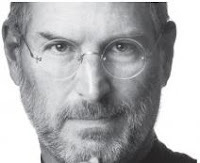 The two Steve Jobs' Movies will battle it out, but I am sure both will portray the greatness and hard-work of Steve Jobs. Jobs: Get Inspired will release in the last quarter of 2012, while the Sony Movie has not yet got a release date.But will probably be out a few months after the Ashton Kutcher Movie. I am sure all Tech Lovers will be waiting enthusiastically for these two movies to release.